This workshop has been funded by the NC3Rs Small Award Scheme. 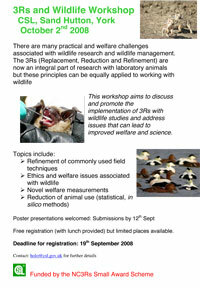 research and wildlife management in order to promote high welfare and good quality science. Final programme. Word file 39 kb.